Hummus with Forty Cloves is full-bodied but surprisingly mellow…the secret is a long slow roasting of all that garlic! This conversation starting appetizer is guaranteed to be the hit of your next party! I don’t do things by halves. Why should I when I can get such great results by pushing the envelope just a little bit. It’s what makes all the difference between a ho-hum appetizer and a memorable one. Hummus with Forty Cloves sounds outrageous, but hold on, before you get nervous, this is not an overpowering dish. I don’t know if you’ve noticed but I’m not a huge garlic fan, so you can take it from me. The garlic flavor in this hummus is deep and rich, for sure, but not pungent because we’re talking about forty roasted cloves of garlic. They’re sweet and mellow, not sharp. I used O California Roasted Garlic Oil in the dish and as a final drizzle on top to reinforce that lovely flavor. 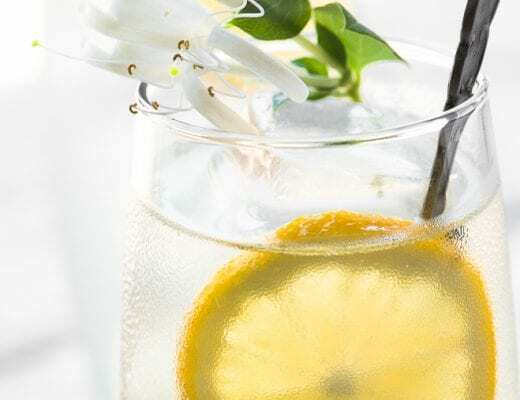 It’s one of O’s newer products and I think you’re going to want to down it by the spoonful. You can get your forty roasted cloves in one of two ways. You can sometimes find them already roasted in specialty or ethnic markets. They come in little jars or plastic containers, they keep well in the fridge, and they’re super convenient to have around. But a better idea is to roast them yourself, it’s not difficult and the flavor will be that much fresher and more vivid. It takes about an hour or so, so plan ahead. Slice off the tips from a few bulbs of garlic. Be sure to slice the tip end and not the root end, so the whole clove stays intact. I drizzle each clove with a little bit of the Roasted Garlic Oil first, then arrange them cut side up in a small pan, and pop it in a 350F oven for about an hour or so. 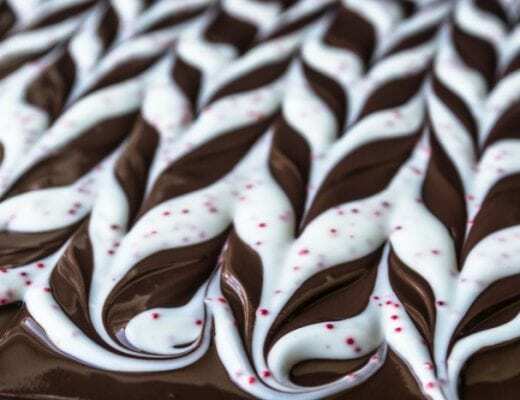 I cover it loosely with foil so it stays moist and doesn’t burn. As the garlic roasts it softens and caramelizes so that it is no longer as potent, but just as flavorful. You can now squeeze out the cloves from their papery skins — be sure to count out forty! This is a crowd pleasing appetizer that can go from game night to holiday party without missing a beat. Just before serving drizzle on more of that luscious Roasted Garlic Oil, and garnish with some fresh thyme. Serve with pita triangles, chips, or veggies. This will NOT disappoint! Hummus with Forty Cloves is full-bodied but surprisingly mellow...the secret is a long slow roasting of all that garlic! This conversation starting appetizer is guaranteed to be the hit of your next party! Slice the tip end off of each bulb of garlic. Set the bulbs cut side up in a small baking dish or on a piece of foil. 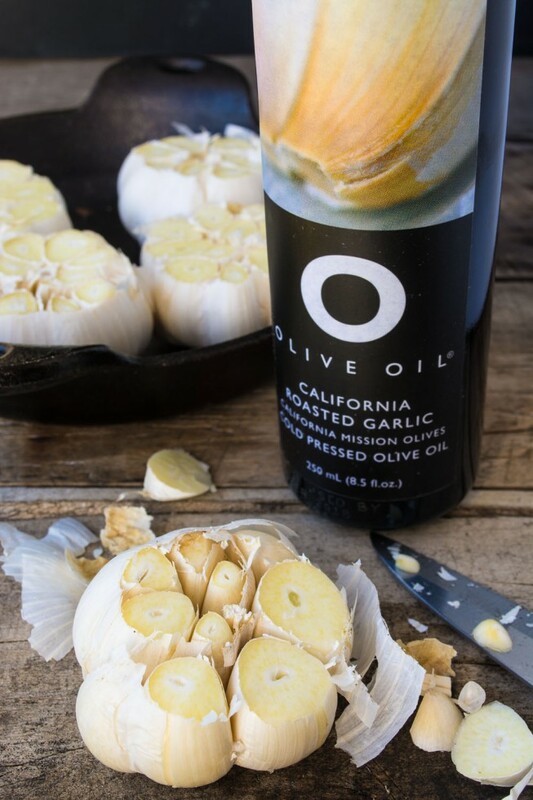 Brush or drizzle with the Roasted Garlic Oil. Cover loosely with foil and roast for about 60-70 minutes, or until soft and caramelized. Set aside to cool. When cool, pinch out the cloves by squeezing from the bottom of the head with your fingers, they'll pop right out. Drain and rinse the chickpeas really well. Put in a food processor along with forty cloves of garlic --- count 'em! Puree for several minutes, scraping down the sides of the machine often, until the mixture is smooth. Add the lemon juice and Roasted Garlic Oil and continue to puree, scraping down the sides often. Add in the tahini and salt and blend well. Finally, add 1/4 cup cold water and give it a final few pulses. Taste the hummus to adjust any of the ingredients. Turn the hummus into a serving dish, smoothing it out with the back of a spoon. Just before serving garnish with a few more garlic cloves, a drizzle of Roasted Garlic Oil and some fresh thyme leaves. I love garlic with a passion, doesn’t matter if raw or roasted. 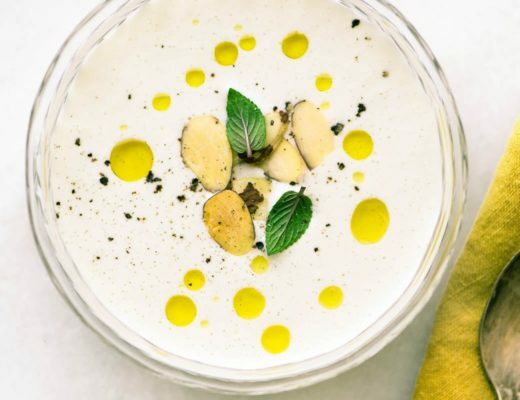 This hummus just made at the top of my cooking list! I need to make this pronto, it must be amazing! 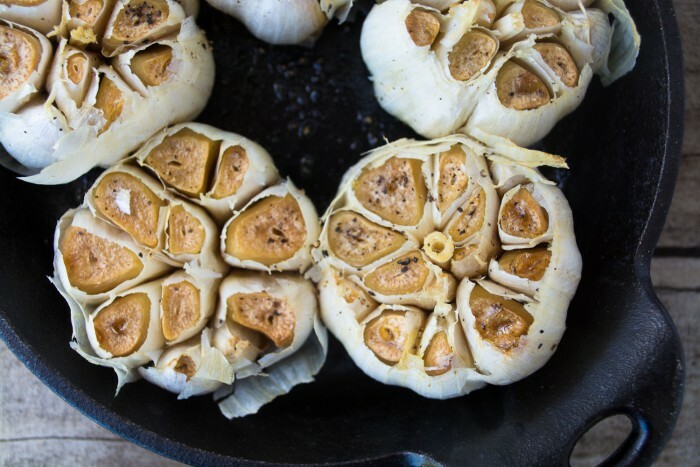 Sounds like a whole lot of garlic but when they’re roasted they’re so mellow and delicious. What a smooth and creamy hummus!!! That is a serious amount of garlic!!! And I bet it is AWESOME! 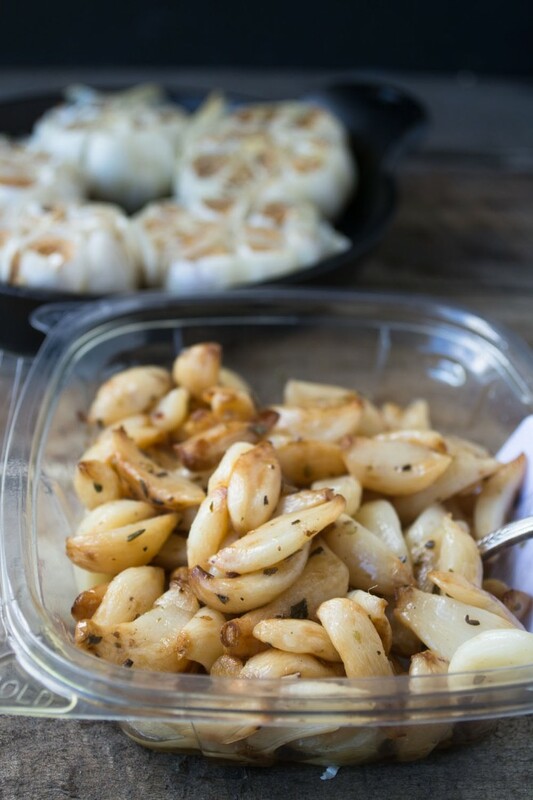 The world is a better place because of roasted garlic and recipes like this one :) Love it! It’s quite rich and mellow, Medeja, not sharp like raw garlic can be. 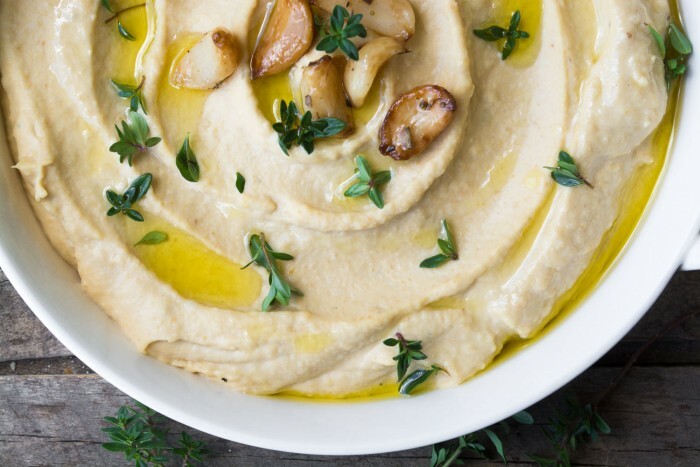 I’ve been on a homemade hummus kick lately and I have to try this next. I trust you on the 40 cloves of garlic ;). Oh this looks amazing. 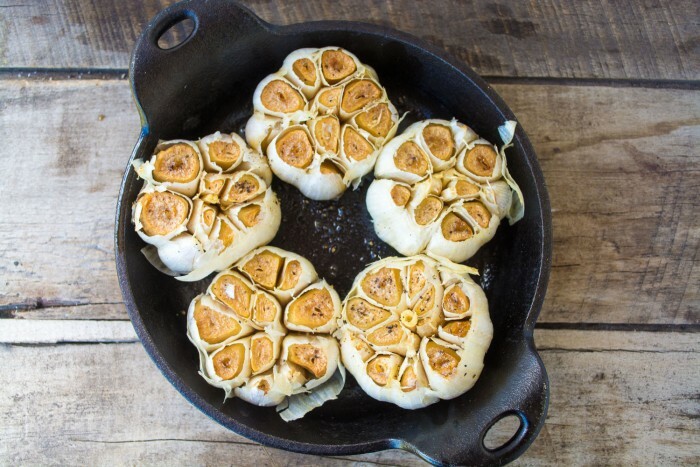 I LOVE hummus and I LOVE roasted garlic, what a fantastic idea! I adore hummus and have made roasted garlic hummus but not like this! 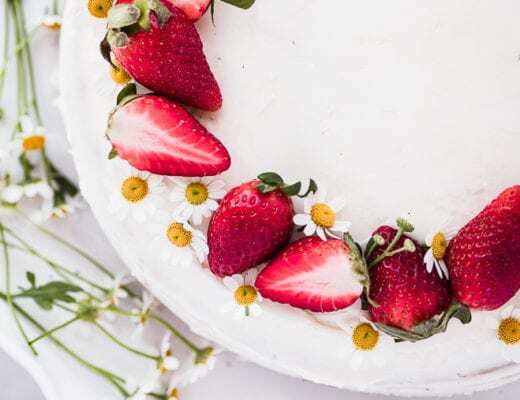 This is one of those more is better recipes :) Your photos are fantastic and the texture looks perfect. Love it! Thanks Tricia— I’m planning to do a post someday on how to make the perfect hummus, and texture is my main focus. I like it super creamy! It’s amazing how mellow garlic becomes when it’s roasted like this. Yum, this hummus sounds amazing. Love the idea of roast garlic olive oil too, wow! Pinning!!! The truth is, I HATE garlic breath, with a passion, and I do everything possible to avoid it. Roasting the garlic seems to take care of the problem! 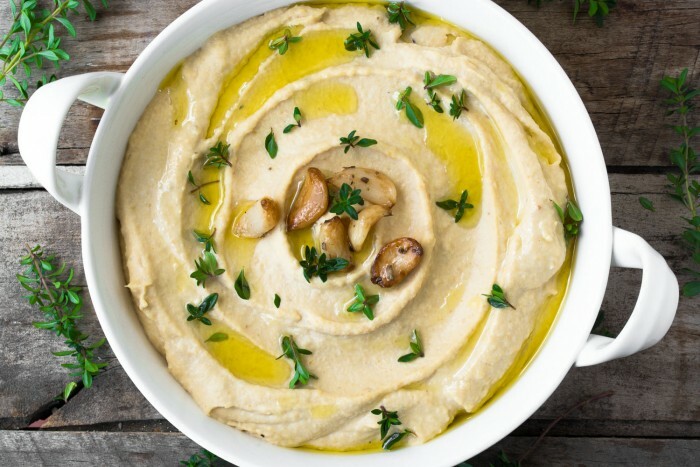 Great things come to those who wait … or in the case of this hummus AMAZING things! I can’t even begin to describe how beautiful this hummus is! I can’t stop staring, and if it were in front of me I wouldn’t be able to stop eating! What a pretty bowl and for me, the more garlic the better! This hummus sounds divine, Sue!! YES. i’ve seen and tasted so many versions of hummus, all with their own positive features, but this one hits all the right notes! delicious! I know, hummus has been done to death, but I think that’s because it’s so darned amazing and versatile. Plus I have an excuse, my husband Grant is literally addicted to it, and wants it at every meal! I love roasted garlic and your recipe looks great. I will have to try it. We never tried making hummus before. But since everything you do is amazing, only confirms that this recipe for hummus will be sublime! 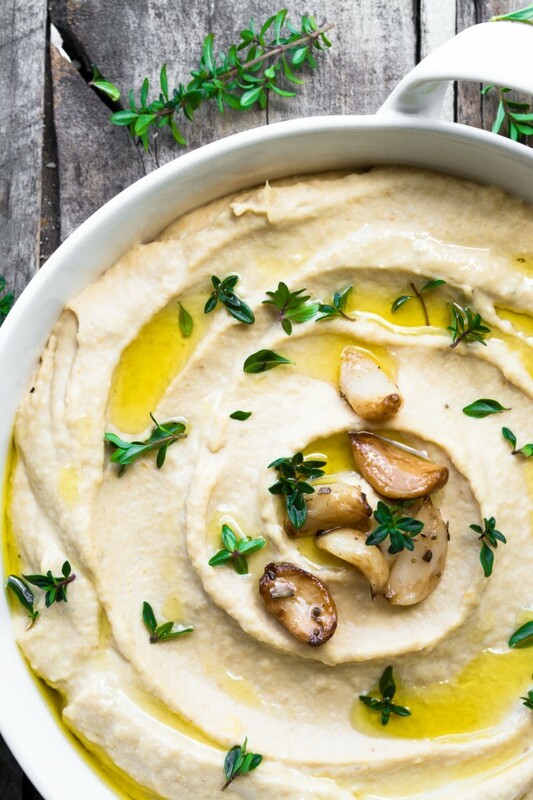 Hummus is probably the one recipe I make more than anything else in this house — you’ll love it! wow my mouth is watering terribly, Sue. The hummus looks dang creamy and with 40 cloves of garlic, I bet it’s DELICIOUS!! I’m sure this one is memorable Sue! I’m totally in with the 40 cloves! GO BIG or go home! Yum!